Wondering what new game reveals we might see at E3 2018? 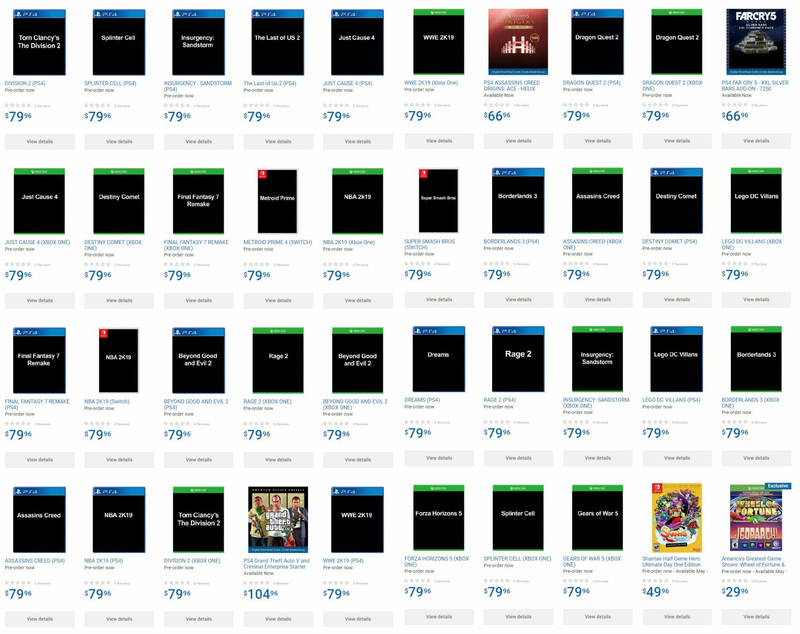 Well, we may have just received a big, juicy hint, as somebody at Walmart Canada took leave of their senses this morning, adding a whole mess of unannounced games to the pre-order section of their website. The listings have since been taken down, but, of course, the Internet never forgets – check out the whole eye-opening collection, below (click on the image for full resolution). Of course, plenty of the listings are for titles that have already been revealed (The Division 2, Metroid Prime 4, Super Smash Bros.) or stuff anybody could reasonable assume is coming (NBA 2K19 and WWE 2K19), but there’s also a bunch of unannounced games mixed in. New titles include Splinter Cell, Borderlands 3, Rage 2, Assassin’s Creed, Gears of War 5, Forza Horizon 5, Just Cause 4, Lego DC Villains, and Dragon Quest 2. Listings for Splinter Cell, Borderlands 3, and Gears of War 5 aren’t terribly shocking. 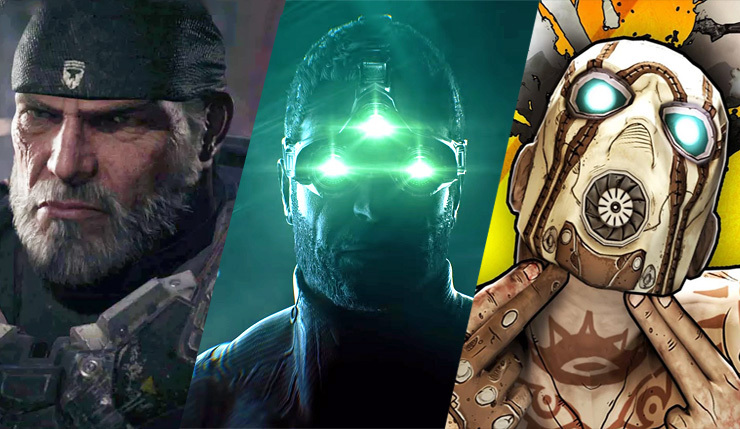 A new Splinter Cell has been rumored for some time and was listed by Amazon last month, Borderlands 3 has been a known quantity for some time, and, come on, it’s a given Gears of War 5 is happening eventually. Others are more eyebrow-raising – a new Assassin’s Creed would certainly be surprising, as the series is supposed to be off the annual release schedule, but we could be getting another remastering or something smaller scale like the Assassin’s Creed Chronicles games. Also, Rage might be getting a sequel? Don’t think many people had that one on their bingo cards. Meanwhile, some of these listings are just plain odd – we haven’t even got Forza Horizon 4 yet, so it’s unlikely Forza Horizon 5 is coming out this year. As for the Dragon Quest 2 listing, presumably they’re talking about Dragon Quest Builders 2, but who knows? These kind of retail leaks often turn out to be the real deal, but there’s enough weird stuff going on that it casts some doubt. Is this just a case of a Walmart drone doing a bunch of crazy guesswork, or is this real intel with a few errors and typos thrown in to confuse the situation? I suppose we’ll find out in about a month’s time. If these leaked titles turn out to be legit, which ones are you most excited for? Personally, I’m eager to potentially blow some more stuff up in Just Cause 4. E3 2018 runs from June 12 to 14, with the big publisher press conference kicking off the weekend before on June 9. As of now, this is the Rage account’s only tweet. Confirmation? Cheeky denial? Again, we’ll just have to wait to find out.